It was started by Ralph Lauren, and most recently picked up on my Miu Miu and Marc Jacobs - animal print takes a whole new meaning for 2011. 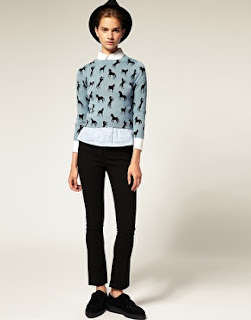 Printed animal motifs are everywhere, and my favourite are the horse patterns (sorry, love my cats, but am so bored with feline prints at the moment). 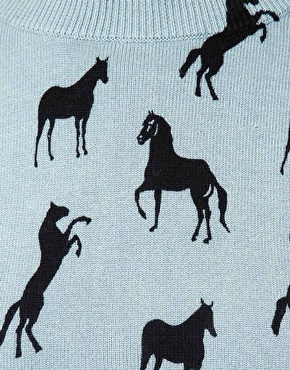 Equestrian print also fits neatly in with the cowboy styling carry over. Favourite item to date? 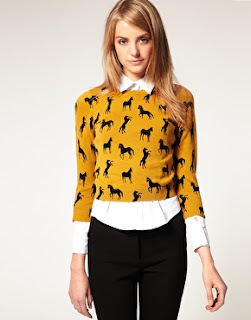 Surprise, surprise it's from ASOS. This lovely jumper is great - only trouble is deciding which colour to buy.